We are starting to pull together material for our 40th Anniversary celebrations. Our video archives have been digitised and a documentary about Regional Council is drawing together some of the archival material with interviews with some who have first-hand experience of that history. To jog people’s memories we have posted a PDF version of the 20th Anniversary issue of Inner Voice 73 – Spring 1995 – Celebrating 20 years. If you were not around then it is great historical background and if you were around it will hopefully spark memories you might like to share. 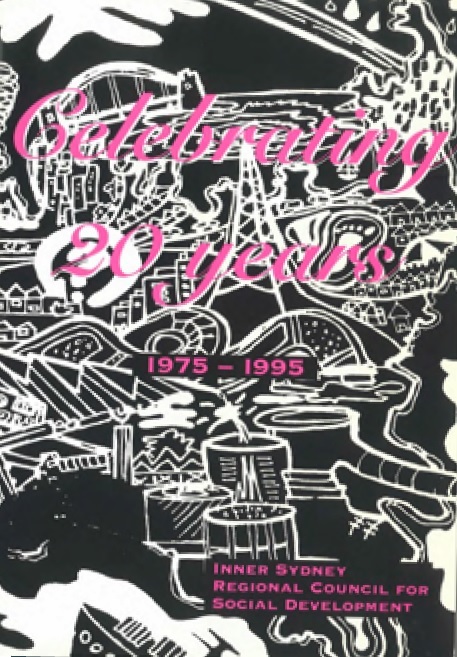 The 20th Anniversary Issue from Spring 1995 includes two pages covering each of Regional Council’s first 20 years with details of workers and committee members. Ideally we would like to collect similar details covering the second 20 years and would welcome your contribution towards this. We want stories and reflections from those involved during our last 40 years. We want people who would like to help pull this all together for mid-2016. Please spread the word to those you know were involved in the past and help us bring people together to celebrate the great history we all share!